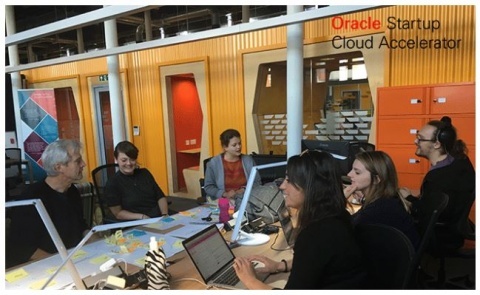 Five startups, including experts in artificial intelligence, machine learning and virtual reality, selected to leverage Oracle’s mentoring, global ecosystem and customer relationships, and Oracle Cloud in this next-generation startup program, in collaboration with SETsquared Bristol. Oracle has announced the inaugural class of startup participants officially commencing the six-month Oracle Startup Cloud Accelerator program. With support from SETsquared Bristol, the OSCA incubator offers free business support and guidance from multiple entrepreneurs-in-residence, to provide a unique framework that nurtures startup development in the forefront of tech innovation. Run by members of Oracle’s research and development team, new members will have access to state-of-the-art technology, a co-working space, access to Oracle customers, partners and investors, and free Oracle Cloud credits. Duel: using cutting-edge machine learning and machine vision tagging technology, Duel helps brands and retailers acquire and convert online, using branded content their customers have made for them. With engagements triggered post-purchase, Duel uses reward and gamified tools to motivate customers to create content about the product – and then share it. Duel helps turn customers into brand ambassadors, content creators and advocates – and manages, amplifies and moderates it for brands at enterprise scale. GRAKN.AI: GRAKN.AI is the database for Artificial Intelligence. AI systems process significant amounts of knowledge that is far too complex. GRAKN.AI enables organisations to effectively manage these complex datasets that serve as a knowledge base for AI applications, uncover knowledge that is too complex for human cognition, and therefore increases the rate of innovation by orders of magnitude. Interactive Scientific: Interactive Scientific creates immersive digital-science learning and research tools using a range of devices, from immersive virtual reality to applications. The company has created Nano Simbox, a digital and virtual platform that brings to life atoms and molecules, which allows for complex concepts to be more easily visualized for the purposes of education, training and research. By using rigorous science simulations, interactive visuals, intuitive design and extensive high-quality content, Nano Simbox makes the invisible world of molecules visible and engaging for both science learners and science researchers. iGeolise: iGeolise has created the TravelTime platform that makes maps and data searchable by travel time, rather than distance. TravelTime has two types of customers: (1) consumer-facing websites that hold location-specific content e.g. jobs, properties, hotels, and; (2) companies wanting an analytics tool to determine catchment areas, plan business relocations, retail portfolio planning, proximity marketing, and supply chain logistics. iGeolise allows organizations to search, analyze and sort data using minutes, not miles. Trail: Trail is a simple, smart checklist for effortless operations. It’s designed to guide teams through their day with repeat processes and automated integrations, delivering business actions from finance to compliance. Helping every site hit the same high standard, and driving profitability with everyday efficiency.